I’ve been wanting to do some sourdough baking for a while now. 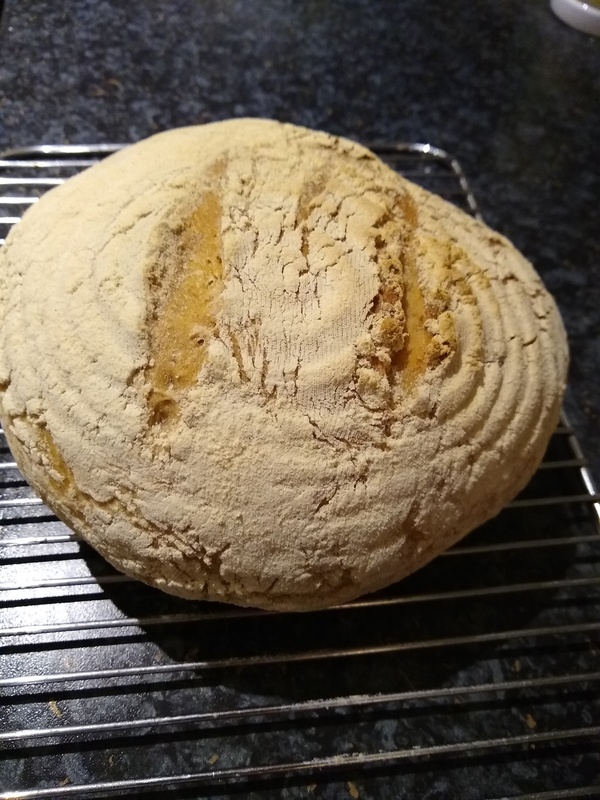 I already bake quite a bit of our own bread (mostly in a breadmaker), and regularly make pizza bases, rolls and other things and I wanted to give sourdough a try too. I got a starter (you can make your own but I opted for the slightly easier option) from the Wild Baker and it arrived earlier in the week. I feed it (with flour and water) a couple of times and then it was ready to go. There are a couple of quite long pauses for rising etc. in the sourdough process and I think next time, I’ll shift things around a bit so that these happen overnight rather than try and squeeze things all into a day-and-a-half. That said the resulting loaf was fantastic (see above). Great tasting and a definite success. It’s always good when cookery of any kind goes well, but this was especially pleasing. It’s been a pretty chilly week, with temperatures dropping below 0°C on most nights. This had meant that my home office has been a little inhospitable some mornings and so I’ve moved to our lounge to work. I’ve been assisted by the dogs to keep me company (and warm), although I must admit they have been a little more distracting than normal. I assume that this is as much the change of routine for them as it is for me. I’ve been asked by a potential client for a proposal for a piece of work, so I suspect that most of the coming week will be taken up in pulling that together. They have ambitious plans so it’s good that potentially I’ll be a part of that work. I’m between books at the moment, but a quick visit into town to post a parcel took me past the secondhand bookshop. 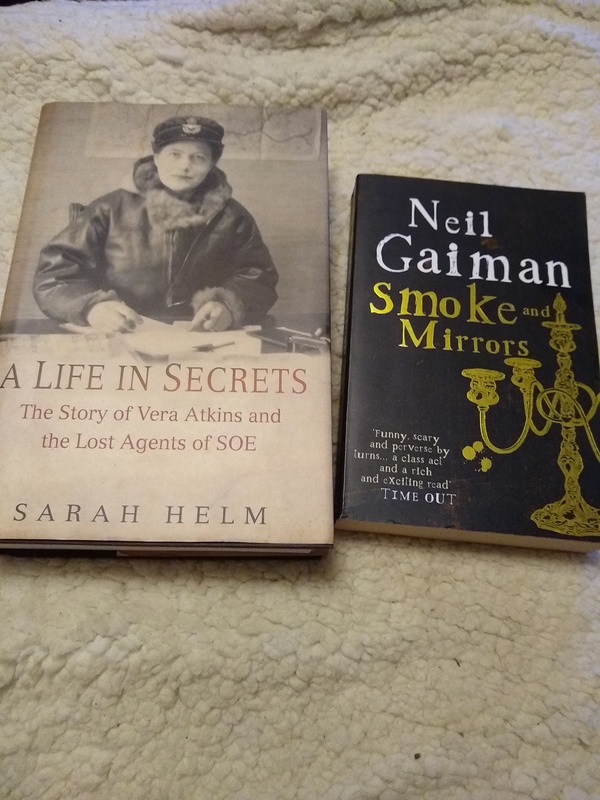 I always try and leave more books with them than I take away, and this time I succeeded, although I have to admit to be quite pleased with the ones I found. This entry was posted in books, Cooking, The Week That Was, work and tagged books, bread, sourdough, The Week That Was. Bookmark the permalink. 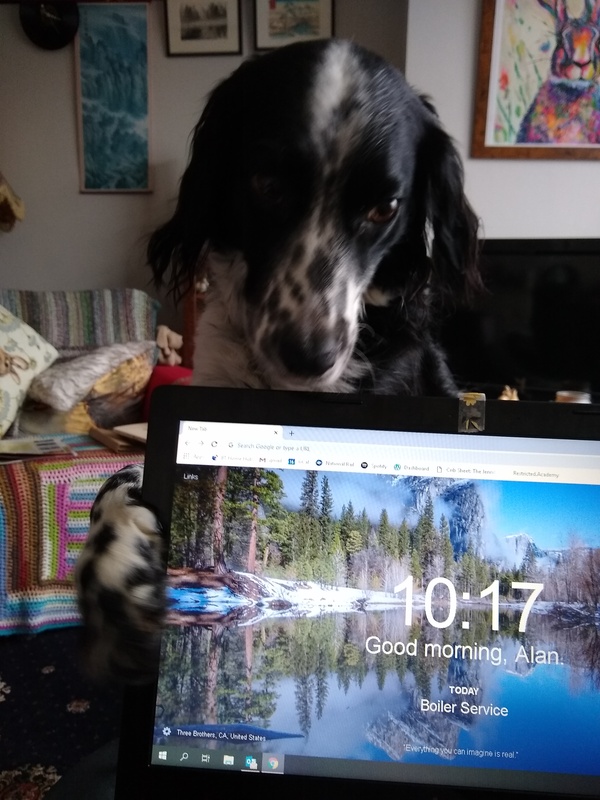 Sounds like the new year is off to a good start for you, Alan! The bread looks fantastic and I really hope the new client provides you with a lot of consulting work. Yesterday, we had a bit of a wind storm (90km/h plus winds) and a cold front moved into the area. Tonight the wind is supposed to be 40km with gusts of 60km. So, with those winds and the -15C temperatures, the windchill (that is what the air feels like on your skin) is forecast to be -39C. That’s what we call a “three dog night”! LOL! You’d probably find our weather positively tropical.